If you are considering bankruptcy as a means to clean up your financial situation, we recommend that you consult with an experienced Mesa, Arizona bankruptcy law attorney. Use your attorney as a resource of information and services in order to fully understand your role in the bankruptcy process and how filing for bankruptcy can affect your life. 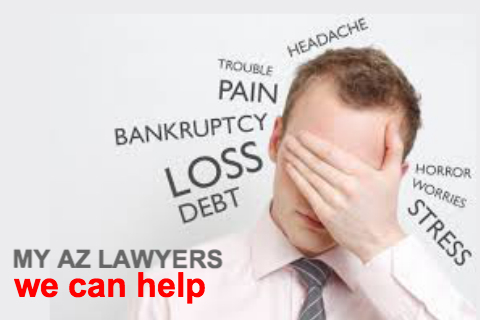 Have you discussed with your attorney some other possible debt relief options other than bankruptcy? Bankruptcy absolutely may be the best thing to get a fresh start and get on the road to financial success. A Chapter 7 bankruptcy is a relatively quick process and great debt management option, as it can totally wipe out your unsecured debt (like credit cards and medical bills). In addition, a person can only file Chapter 7 once every seven years. If you are overwhelmed by a particular debt, or a combination of debt, bankruptcy protection may be the perfect fit for your situation. Chapter 7 also stops creditor collection action. A typical bankruptcy case might look like this: a person in an already fragile financial situation, many times having large amount of credit card debt, suddenly facing an unexpected life change (divorce, job loss, injury, unforeseen medical expenses). Now the late penalties combined with outstanding expenses results in an un-payable amount of debt. The Bankruptcy law in Mesa, Arizona, is designed to assist those needing a “fresh start” on their life and a clean financial slate (rather than keep living under the crushing burden of a debt they will never be able to pay). Arizona does have Exemption Laws. An unsecured creditor (such as a credit card company) cannot take your assets if they are exempt. Discuss any questions you may have regarding the Exemption Laws of Arizona with your attorney, as these laws do not protect from all types of debts or all types of creditors. There may seem to be an overwhelming amount of Mesa bankruptcy information. You cannot just wipe out every single debt in a bankruptcy. Understand that there are debts that are “non-dischargeable” in a bankruptcy: some kinds of debts bankruptcy simply cannot erase. Generally these debts include child support, student loans, and tax debts. You attorney will know if your debts may be discharged in a bankruptcy. “Plain English” information about filing for bankruptcy in its most simple terms. Why not consult with the best Mesa bankruptcy lawyer? If you have tried to filter through the massive amounts of information on the internet and government sites to try to make sense of the bankruptcy process and how to get a successful discharge in Arizona, you may be feeling a bit frustrated. Our bankruptcy lawyers can help you with Mesa bankruptcy information. My AZ Lawyers will guide you through every step of the bankruptcy process and communicate to make sure you are always informed of the actions the firm is taking on your behalf. 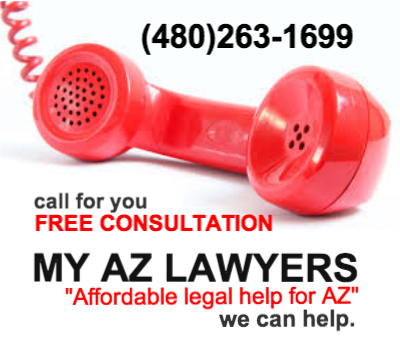 My AZ Lawyers has attorneys who are experts in Arizona Bankruptcy law. Take advantage of a FREE no obligation, no hassle consultation with an experienced lawyer at the firm. My AZ Lawyers offers payment plan options including a popular “file now, pay later” plan. We also offer $0 Down financing for our bankruptcies. Get in touch with our Mesa debt relief experts regarding all Mesa bankruptcy information.